You are here: Home / EcoKids-Environment / Girls Gone Global: GWLN Hosts Younger Leaders Worldwide! Young leaders are ready to engage around the globe with the most daunting challenges facing our world, as girls ready for change are popping up in the media everywhere leading efforts, organizations, nonprofits entities and school cyclebreakers to seize the day in Carpe Diem mode! Before we capture some of that energy and momentum by highlighting the new national director of Girls For a Change, Carrie Ellett, fresh from their recent national tour, I’d like to focus first on an offshoot role of Carrie’s Global Women’s Leadership Network experience which is an inspiring program for International Global Fellows enabling collegiate summer experiences shared in mentor form with our own GWLN (Women Leaders for the World) graduates on a global scale. Next week, on November 18, the SCU Leavey School of Business presents the stories of some of the 2008 undergraduate fellows serving with some of our GWLN.org affiliates around the world…So it seems fitting for All Things Girl week on Shaping Youth, to shine the spotlight on these amazing young leaders involved in programs as diverse as teaching English to teens in Addis Ababa, mapping the culture of Turkey, and holding symposia about environmental issues. If you’re anywhere near the Bay Area, you won’t want to miss this mega-dose of girl power, and it’s FREE! I’m planning on bringing my daughter to instill some ‘aspirational attitudes’ that go beyond the ‘mallrat mania’ and ‘media celebrity’ fixations given an inordinate amount of coverage when the true celebrities are International Global Fellows like this with Inspiring Minds who want to know how to make a difference. These young future leaders share what they learned from their summer experiences in Turkey, Ethiopia, and here in the U.S. working with globally focused organizations such as Kasimu Education Fund, Lending Promise, and Pachamama Alliance. Many have teamed with mentors and graduates from our GWLN program, serving passionately alongside those who are dedicating their lives to the future of humanity. As GWLN salutes the students’ efforts and gives them this platform to champion change next week at SCU, here’s a first-person peek from one of them for context and a little goosebump girl power! Here is Anne-Reed Angino’s experience as an International Fellow to give you a glimpse of what these amazing SCU/GWLN student intern programs are all about! They’re hoping to expand to 50 slots next year from 17! As always, GWLN is bold in vision and in action! Here’s how to support GWLN and the future youth leaders of the world! Last year I applied to work for the YWCA in Addis Ababa, Ethiopia through the International Fellows Program within the Global Women’s Leadership Network at SCU. I couldn’t be more ecstatic when Linda Alepin told me last Spring that I was accepted to be the YWCA’s intern! Plus, Santa Clara University gave me a Fellowship grant to help cover expenses. Within a few months I was packed, ready, and off to Addis Ababa. This was my first time to Ethiopia, and my first time to Africa as well. Two days after I arrived, I started working at the YWCA in Addis. My job at the Y was to be their Volunteer Coordinator. As the Volunteer Coordinator, I was in charge of around 60 volunteers and 200 children and young adults. The volunteers were all Ethiopian, and most of them were students from the wealthier high schools in Addis. For the summer, we had 7 different English classes, all taught by the volunteers. The English classes were open to children and young adults, specifically those who didn’t have the resources to take English classes. Since high schools in Ethiopia are taught in English, one of the main reasons for student drop-out is a lack of fluency in English. As the coordinator, I made sure all of the classes were running smoothly and that the volunteers were doing a good job teaching. We had bi-monthly reflections with the volunteers to reflect upon their work as volunteers and teachers. It was wonderful to see the improvement not only with children being taught, but also to see the volunteers connecting with the children and understanding the economic diversities that exist within their country. It was also apparent that the volunteers realized how much they could make a difference with a little bit of patience and commitment. One volunteer tutored a girl, Tizita, who was too embarrassed to sit in class with her friends, because she could barely read the alphabet. After a total of 28 hours of tutoring, Tizita could not only identify the alphabet, but she could read. The glow on Tizita’s face, after realizing what she had accomplished, is something I will never forget. 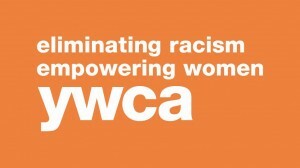 I also helped start up a mentoring program within the YWCA. We successfully matched 8 women in college (or already graduated) with 8 younger girls. With hope these relationships will help give hope to these young adolescent girls and give them hope for their futures. The program we set up is designed to help the girls begin to develop and understand their strengths, acquire the motivation needed to stay in school, and have someone to talk about the issues that arise during the puberty years. 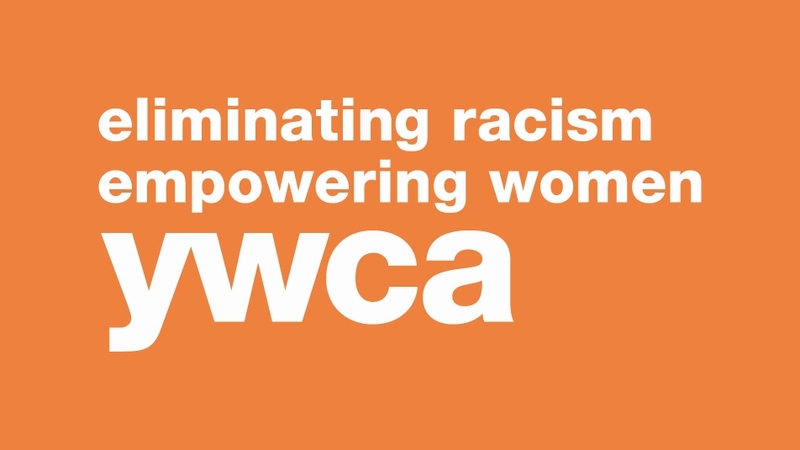 As for the environment of the YWCA, I absolutely loved working there. All of the women working at the Y in Addis were extremely devoted to their work, and were definitely willing to fight for their rights if they needed to. I was completely inspired by the women of the YWCA in Ethiopia, with their positive attitudes, emotional strength, and a drive to fight for their cause. Within my volunteers, there was a handful that weren’t from wealthy families, and in fact had very little, but still wanted to volunteer and share the knowledge they had with those that were less fortunate. I learned so much while in Ethiopia and I miss all of my friends! A total of 17 students participated in the international fellows program last year. GWLN hopes to expand this internship outreach to 50 students this year! Want to hear more? Join us November 18, 2008 at Santa Clara University 6:30 to 7:30 PM in Daly Hall room 206. I can’t wait! p.s. And if my daughter has a basketball game, I’m going to be VERY frustrated, since coaches pass the ball our way at the last minute as if it’s easy to drop everything, and devote our full lives to shuttling kids hither and yon; what is UP with that? Anyone else experiencing this dynamic among youth/parents/schools? Is it lack of organization, lack of funding, focus, or all of the above? I know for a fact in our Ca. middle-school our teams are fully funded by parents, not PTA, not districts, not a penny of support. Soooo short-sighted imho, as girls lead in many ways…some socially, some athletically, some academically, some globally!